This was the first day bears have been able to apply pressure since the election. 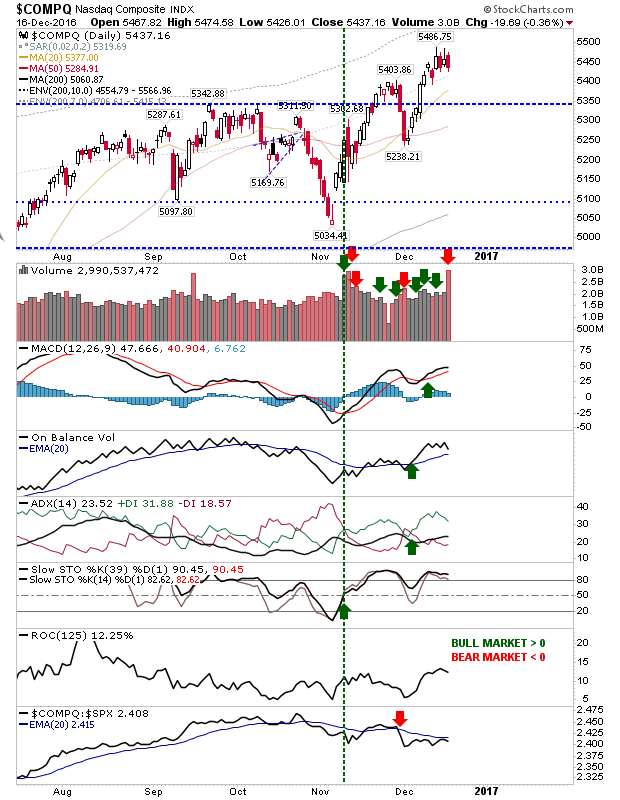 It is now four days since markets pressured highs, and for the S&P, it was the third distribution day since the last accumulation day. While the S&P is drifting a little off course, it's still able to make relative performance gains against the Russell 2000. Money may start cycling from Small Caps to more defensive Large Cap stocks. The Nasdaq was slower to the punch in posting new highs, but it has only experienced one distribution day since the last accumulation day. 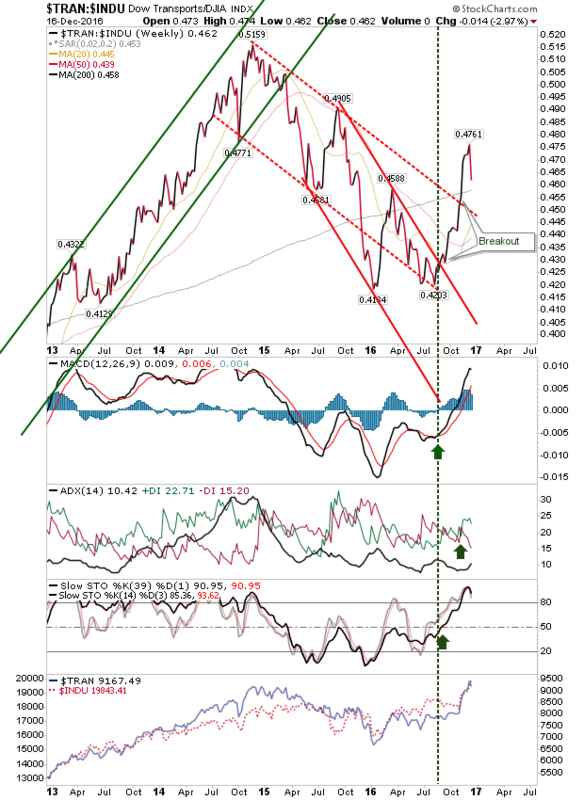 Technicals remain net bullish. If there is an index to reverse Friday's selling, then the Nasdaq is perhaps the best one to challenge. The Russell 2000 has experienced the greatest amount of profit taking since December rolled in. Friday's 'gravestone doji' marked a continuation of selling pressure as traders took advantage of the rally to take profits - creating the spike to highs. 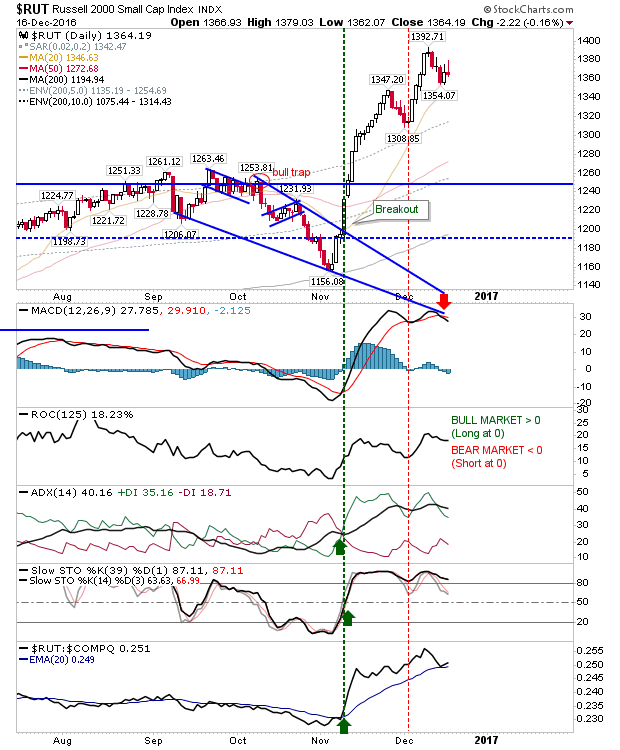 Technicals started to turn with the 'sell' trigger in the MACD. 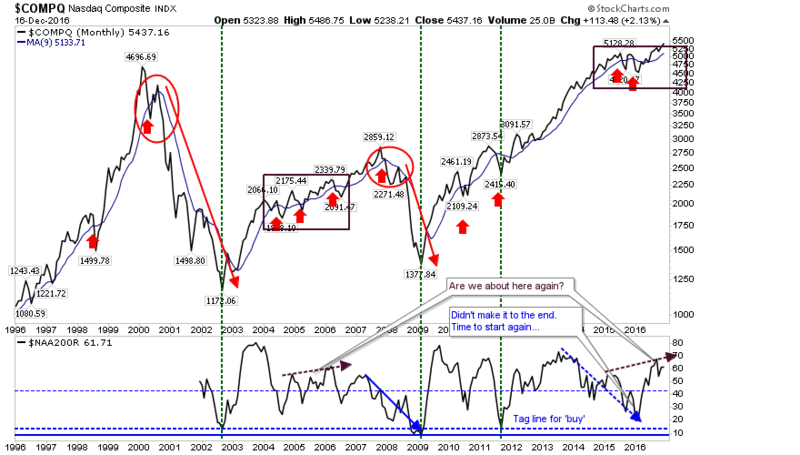 The long term outlook has many similarities to the 2004-06 period. Should this continue then watch for a blowout top in 2017, but it could be the latter part of next year before it emerges. The next long term buy signal won't occur until the percentage of Nasdaq Stocks above the 200-day MA is below 20%. In the meantime, Transports are leading the Dow higher, which is bullish for the economy and good for Transport stocks, but Dow stocks may underperform. 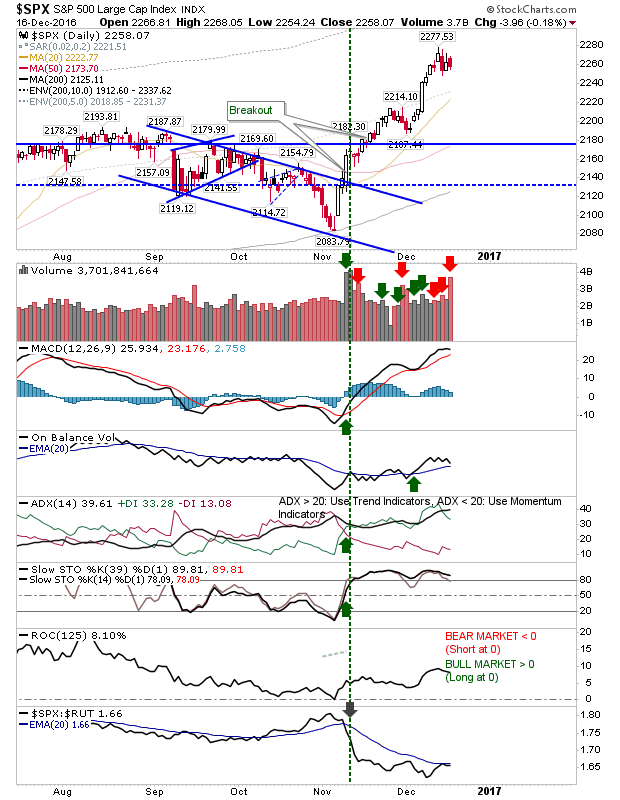 For tomorrow, bulls need a strong start or the action which is afflicted Small Caps will spread to Large Caps and Tech.